Prince endures as one of the most important, influential, and impactful artists in history. Selling 100 million records worldwide, he remains one of the best-selling artists of all time. A 2004 Rock and Roll Hall of Fame Inductee, he garnered a 1985 Academy Award® in the category of “Best Original Song Score” for the film Purple Rain, a total of seven GRAMMY Awards®, a 2006 Golden Globe Award for “Best Original Song” in Happy Feet, and an American Music Award, among countless other accolades. He holds #27 on Rolling Stone’s list of the 100 Greatest Artists. 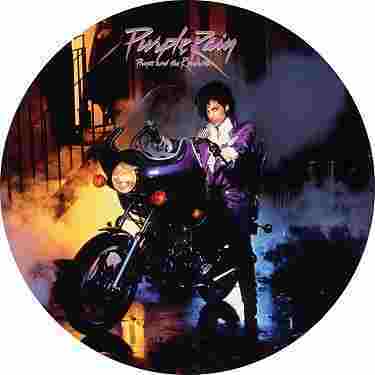 1984’s Purple Rain remains a high watermark for Prince, changing the worlds of film and music. Minted Diamond by the RIAA for sales exceeding 13 million, the record stands out as the sixth best-selling soundtrack album in history, moving more than 22 million copies. Known for his marathon shows, he delivered countless historic performances such as the Super Bowl XLI Halftime Show. Enchanting the modern era, he headlined festivals such as Coachella and Montreux Jazz Festival, in addition to selling out arenas and stadiums everywhere. Along the way, he collaborated with everyone from Michael Jackson, James Brown, Beyoncé and Amy Winehouse to Tom Petty, Madonna and Mary J. Blige. In 2016, Prince passed, but his spirit continues to shine in the hearts and minds of fans worldwide. President Barack Obama lauded his legacy as his music blared from every corner of the globe. Ushering his talent to the forefront of the digital age for a new generation, Warner Bros. Records along with NPG Records re-introduced some of his legendary catalog to streaming platforms in early 2017.